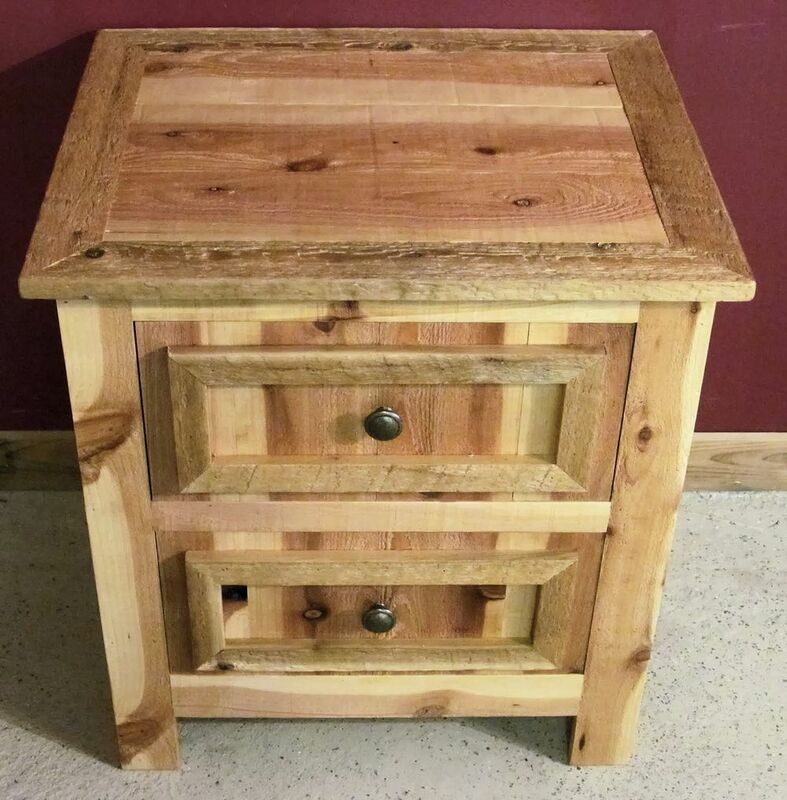 This reclaimed Wood Nightstand is made from reclaimed cedar fence wood and matches our reclaimed cedar wood barnwood style beds. These pieces are able to be stained if the customer prefers, or they can be left natural with a clear coat of furniture finish, as pictured. Please note, this is not barn wood, it is wood that is recycled and reclaimed from fences and is repurposed into our reclaimed cedar fence furniture line. This wood is much thinner and lighter than barn wood, but be assured that the way we construct the furniture from it is still very sturdy and durable. We developed this line of furniture in order to give shoppers more options in regard to reclaimed wood furniture products.